To get a clear view of the parliamentary process, visit our page '''[[ACTA: Procedure in the European Parliament]]'''. * [https://piphone.lqdn.fr/campaign/go/acta-libe-201204 Call MEPs] from the "Civil Liberties" committee ([https://memopol.lqdn.fr/europe/parliament/committee/LIBE/ LIBE]) to tell them [http://www.laquadrature.net/wiki/Civil_Liberties_Arguments_Against_ACTA why ACTA undermines fundamental freedoms]. * [https://piphone.lqdn.fr/campaign/go/acta-itre-201204 Call MEPs] from the "Industry" committee ([https://memopol.lqdn.fr/europe/parliament/committee/ITRE/ ITRE]) and tell them how [http://www.laquadrature.net/wiki/Industrial_Policy_Arguments_Against_ACTA ACTA would undermine growth and innovation]. * [https://piphone.lqdn.fr/campaign/go/acta-juri-201204 Call MEPs] from the "Legal Affairs" committee ([https://memopol.lqdn.fr/europe/parliament/committee/JURI/ JURI]) to tell them [http://www.laquadrature.net/wiki/Legal_Arguments_Against_ACTA how ACTA would impact EU law]. <!--'''Right now, we need to contact members of the [https://memopol.lqdn.fr/europe/parliament/committee/INTA/ INTA committee] and the [https://memopol.lqdn.fr/europe/parliament/committee/ITRE/ ITRE committee]'''. They are working on their report on ACTA. * [https://piphone.lqdn.fr/campaign/go/acta-inta-201204 Call MEPs] from the "International trade" committee (INTA) and tell them why they must recommend the EU Parliament to [http://www.laquadrature.net/wiki/Counter-Arguments_Against_ACTA reject ACTA]. * [https://piphone.lqdn.fr/campaign/go/acta-libe-201204 Call MEPs] from the "Civil Liberties" committee (LIBE) to tell them [http://www.laquadrature.net/wiki/Civil_Liberties_Arguments_Against_ACTA why ACTA undermines fundamental freedoms]. 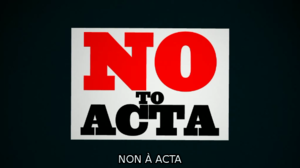 * [https://piphone.lqdn.fr/campaign/go/acta-itre-201204 Call MEPs] from the "Industry" committee (ITRE) and tell them how [http://www.laquadrature.net/wiki/Industrial_Policy_Arguments_Against_ACTA ACTA would undermine growth and innovation]. * [https://piphone.lqdn.fr/campaign/go/acta-deve-201204 Call MEPs] from the "Development" committee (DEVE) and remind them that [http://www.laquadrature.net/wiki/Development_Arguments_Against_ACTAACTA was designed against the interests of developing countries]. * [https://piphone.lqdn.fr/campaign/go/acta-juri-201204 Call MEPs] from the "Legal Affairs" committee (JURI) to tell them [http://www.laquadrature.net/wiki/Legal_Arguments_Against_ACTA how ACTA would impact EU law]. 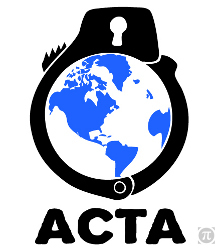 If you are still uncomfortable, you can find an [[How to act against ACTA: example phone call|example phone call here]].